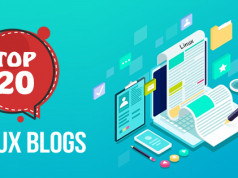 Blog Linux How to Prepare for CompTIA Linux+ LX0-104 Certification? CompTIA Linux+ certification validates one’s expertise in one of the most significant operating systems used in IT. Earning CompTIA Linux+ certification is the beginning of the success that will lead you to advanced and distribution-specific Linux certifications. A certification ending with ‘+’ symbol, represents a good skill benchmark. Once you have cleared both the exams, you will get CompTIA Linux+ certification. In the previous article, we have covered exam information and preparation guide for the Linux+ LX0-103 exam. So, let’s start here with the LX0-104 exam information. Whereas Linux+ LX0-103 exam mainly focuses on the basic concepts of Linux, Linux+ LX0-104 exam is more specific about the scripting, applications, and security. One needs to have a good knowledge of the files used by shell and should be familiar with the process of shell customization. You should know about the writing scripts, script scheduling, and user management. Also, you should have the basic knowledge of logging, printing, email servers, and time servers. 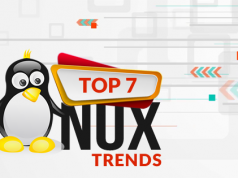 Linux+ LX0-104 certification exam requires in-depth knowledge of Linux fundamentals. Thus, it validates your skills and proves that you are an expert and have more knowledge as compare to non-certified associates. Here, we have described some tips that will help you to pass CompTIA Linux+ LX0-104 exam. In this article, we have tried to expedite the study process for you. 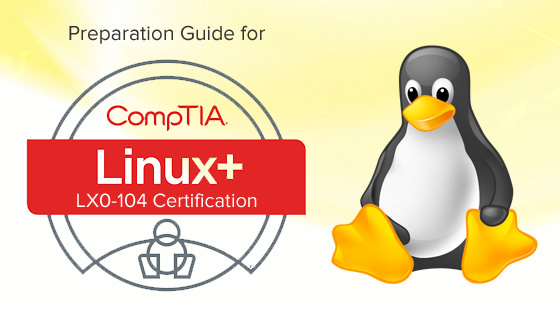 These preparation tips will help you to prepare and pass CompTIA Linux+ LX0-104 exam. One of the important steps to prepare for the LX0-104 certification exam is to understand where to focus your energies. You should understand the objectives of the certification exam and find your personal strengths and weaknesses related to the skills, concepts, knowledge areas, and technologies to be tested. Create a study plan to prepare for the exam while covering all the exam objectives. You should start the preparation at least a few months before the exam so that you do not feel rushed. Start slowly and then get yourself up to the full preparation mode. Review the expected range of study material for the LX0-104 exam. Once you have an idea of what the exam will cover, review the documents to cover the objectives. 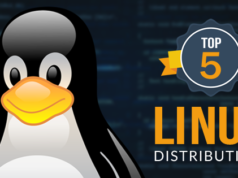 It is essential that you should read Linux+ Study Guide to understand the things that are required to pass the certification exam. One of the excellent guides is the CompTIA Linux+ Powered by Linux Professional Institute: LX0-103 and LX0-104. It is a comprehensive study guide that has been written by the Linux experts. This study guide covers the objectives of both the LX0-103 and LX0-104 certification exam. There is a lot of stuff available online for the preparation of this certification. You can download multiple of e-books that are available free of cost. Also, you can search for the LX0-104 online courses. Many training videos are available online you can refer to them to cover exam objectives. You can also try some online practice tests. With these practice exams, you will have an idea of exam pattern. It will also help you to improve your speed while attempting the certification exam questions. You should prepare for your exam by testing yourself on a daily basis. If there is something that you do not know, you must go and find the answer. This will give you an idea of what to expect when you are ready to take your certification exam. It makes you find your weaknesses and strengths so that you can work on your weak areas to get fully prepared. You can take some online mock tests and practice papers to check your preparation level. It is beneficial if you prepare a set of notes while studying. You can write the key facts and commands that you think are important from the exam’s perspective. You will be able to memorize the information, and also, you can check out these notes at the time of the exam. So, at that time these notes will help you to bring everything back to the mind that you have read. Preparing to become Linux+ certified? Start with the first exam, here is the preparation guide for LX0-103 certification exam. “Never give up”, giving up is the biggest weakness. If you want to succeed you should try one more time. Follow all the above-mentioned tips and make an appropriate plan of study that will help you to get all the success. If you haven’t yet taken the first exam to become Linux+ certified, read this blog post – how to prepare for Linux+ LX0-103 exam. We at Whizlabs help you in the preparation of Linux+ LX0-104 certification with a set of unique practice questions. Take Free Test now! If you want any information regarding this certification, you can write your comments below or ask here, and our experts will get in touch with you.